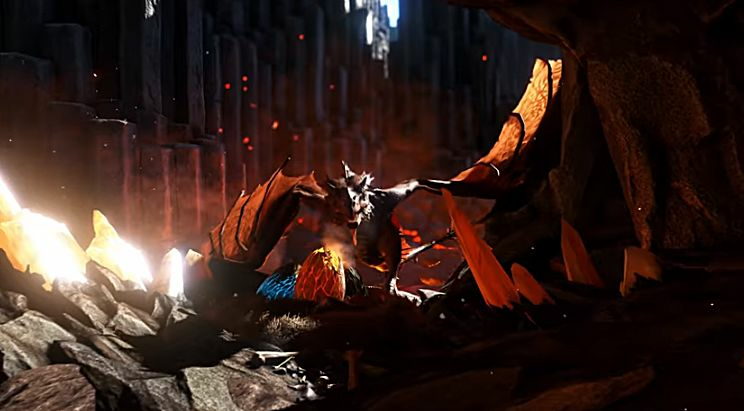 Following in the footsteps of Killing Floor 2, the developers of Ark: Survival Evolved decided to go the problematic route of releasing paid DLC for an unfinished, early access game. Needless to say, fans aren't exactly pleased with this development, and it is definitely a practice of questionable ethics, as you are essentially paying for additional content of a demo version. 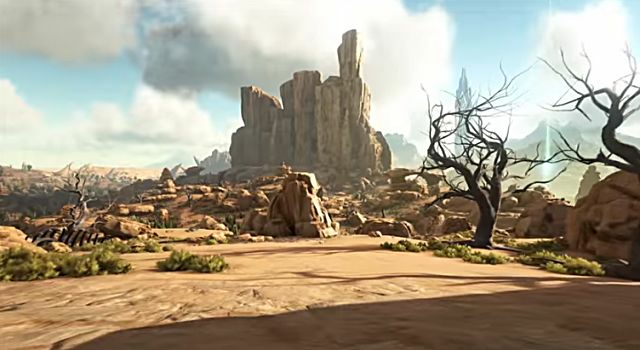 Scorched Earth: Our original vision for ARK always included the creation of Expansion ARKs, along with the infrastructure and technical systems to transfer data dynamically between live ARKs. We determined that it is more sound to iterate on these systems during Early Access than after retail launch, given the significant risks involved if we didn't "get it right." While that meant unveiling the first Expansion early, it also means an easier time integrating further post-launch Expansions into the ARK network. We understand that this isn't everyone's cup of tea, and we appreciate the enjoyment people seem to be getting out of this initial view of how Expansion ARKs can work. 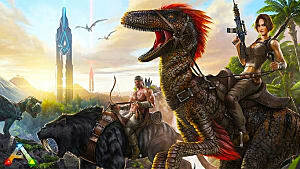 Now that we have the systems in place to support them, we can ensure minimal integration issues with subsequent releases after ARK: Survival Evolved itself has launched. I'll let you decide whether or not releasing paid DLC ahead of the game actually being finished to test content further is acceptable or not, and instead focus solely on what's offered here and whether its worth the price tag. 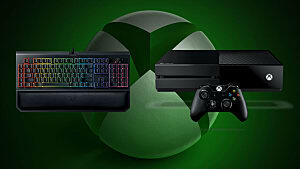 Outside The Controversy – What's New Here? 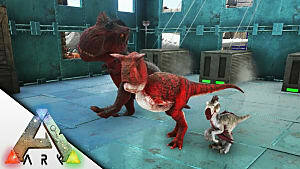 ARK was already the sort of game where it's possible to put thousands of hours into just exploring, making new dyes, building in new configurations, etc. and Scorched Earth just seriously increased that number. 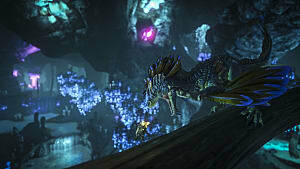 Changing the tone of the flora and fauna, Scorched Earth features large new areas with different sets of challenges to overcome; in this case extreme heat, food that spoils faster, and flying wyverns. 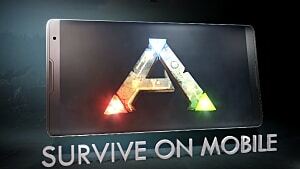 That modified environment drastically changes what sort of structures and equipment you will need to craft to meet those new challenges, resulting in a very different experience with the same base mechanics as the original game. Of course there's plenty of new creatures to kill or tame, from the adorable Jerboas that warn of impending sudden weather changes to the awesome new Morellatops that can store water for you. 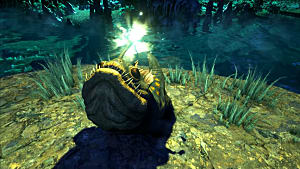 If you've seen any of the promo art, you couldn't have missed the epic rock golems or burrowing death worms. 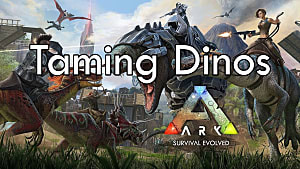 It's a whole new tone and flavor to the game, and that alone makes it worth picking up if you love ARK but are tired of jungle and rivers. Prepare To Die... And This Isn't Even Dark Souls! 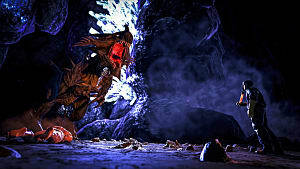 One caveat for potential newcomers... Scorched Earth has a very high difficulty, so you really need to have absolutely mastered early game crafting already to have any sort of shot at surviving the new area, and I wouldn't recommend trying this DLC solo at first. The base game already has a hefty learning curve with no explanation of what to do, and that continues in the expansion, where you can easily die of thirst while frantically searching for a water source because you didn't realize liquid could be procured by harvesting cacti or attacking specific bugs, for instance. To keep you alive a bit longer, we put together a getting started guide for those brave enough to venture into the desert wastes. Probably the most extremely difficult and time-consuming new feature is stealing a wyvern egg, incubating it, hatching it, and then having the baby wyvern imprint on you. Once you actually get it done correctly though, its quite the satisfying achievement (read our full guide here). Speaking of, there need to be more actual Steam achievements for this game. With how much can be done and how many hours the average player sinks in, only having seven achievements is way, way too low. 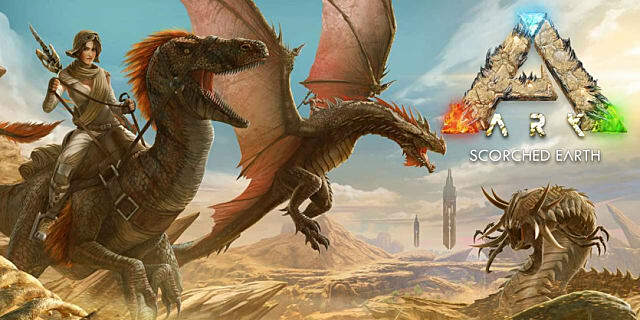 Questionable business practices aside, Scorched Earth is an excellent update for ARK, and well worth getting into for fans of the base game. There's still quite a bit of polish that needs to be done to this game in general – updating the UI, making the learning curve more user friendly, optimization, etc. 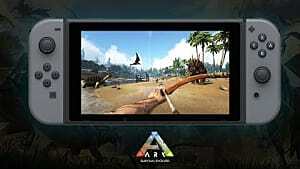 - but as it stands Scorched Earth is worth playing if you want something new in the ARK universe. While the trailer below gives a great overview of the new weapons and options on display, beware that it is sort of misleading on the graphical front, as of course they have it all set to “epic” and somehow don't get any lag while connected to an official server, which has never been my experience. In the game's current unoptimized state, “medium” to “high” is the best you can get without some serious slowdown, even on a very high end machine. So that is something to be aware of. What do you think of the Scorched Earth expansion? Let me know in the comments! It's a whole new experience for ARK as the jungle gets swapped out for the desert where water is scarce and death comes from the sky!